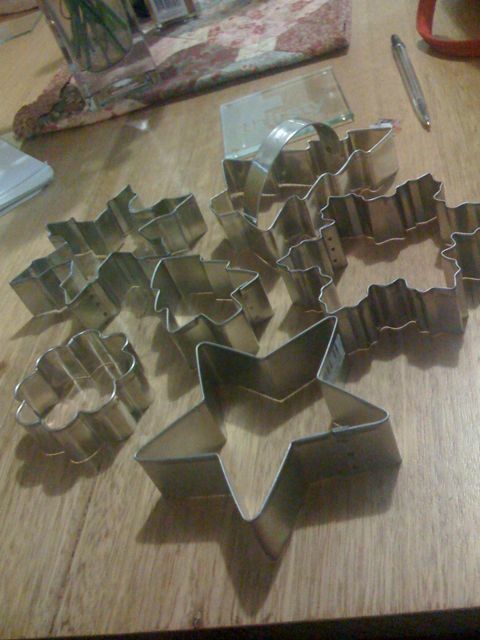 Here is the ‘christmas’ part of my cookie cutter collection… Pretty soon they will be used to make a big batch of Christmas cookies for all of my lovely workmates. Stay tuned!! This entry was posted on December 14, 2008 at 7:35 pm and is filed under iphone posts, Sweets. You can follow any responses to this entry through the RSS 2.0 feed. You can leave a response, or trackback from your own site.